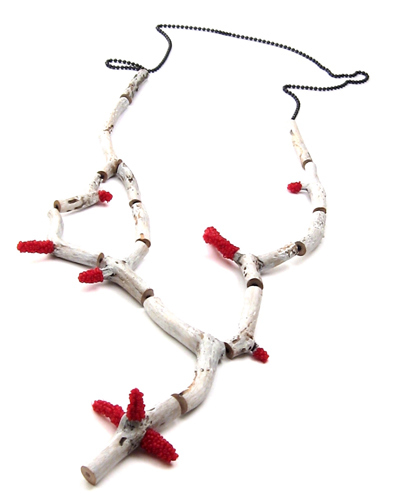 New Zealand artist Lisa Walker makes jewellery out of a vast collection of materials – plastic, wood, paper, gold, fabric, clay, dirt, dust, aluminum, paint – the list goes on. Her talk will be a retrospective look at pieces and projects of the last 20 years, looking at what extremes are possible, questioning and researching what jewellery means, what it can be. Jewelry artists Jennifer Trask and Sergey Jivetin discuss their individual ideologies and shared studio practices. 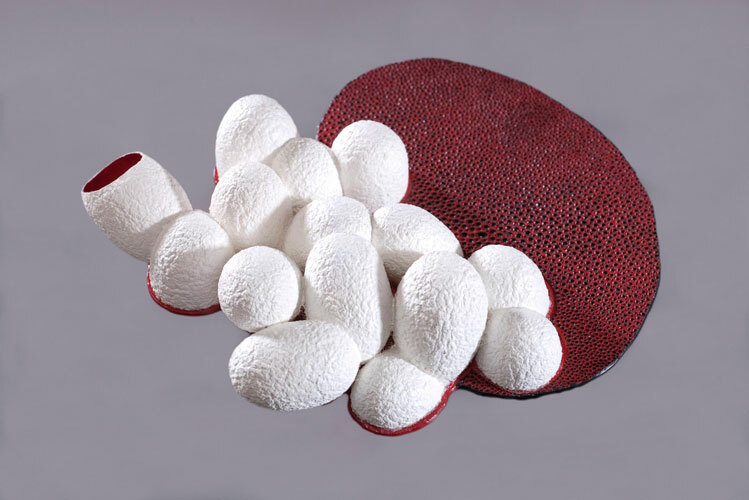 Trask will talk about the evolution of her most recent series, “Embodiment”, which encompasses both sculptural and wearable works. Jivetin will elaborate on the role of experimental techniques and materials. 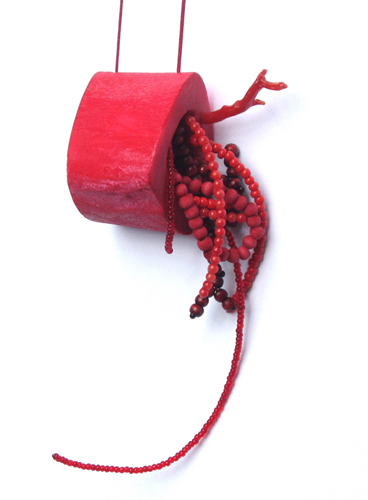 “My jewellery results from ongoing research into the historic use, depiction and symbolism of coral in connection with making contemporary artefacts. 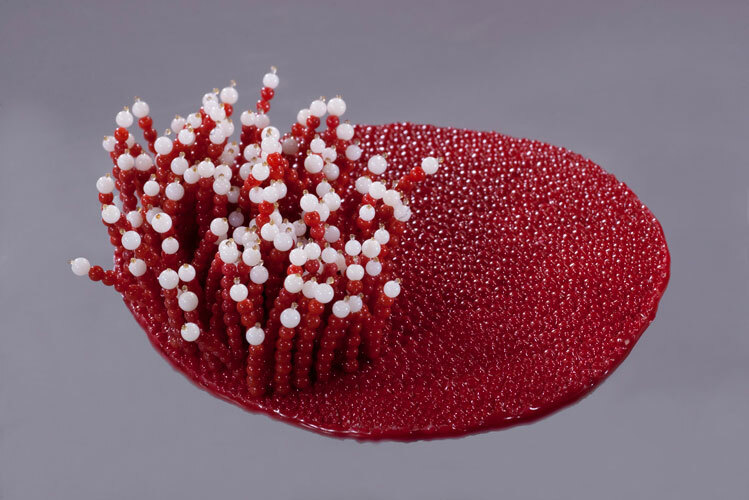 Coral is one of the oldest materials used for human adornment, and because of its difficulty to obtain, has been simulated throughout history by bone, glass, wood, porcelain and plastic. Pieces of Eight is a contemporary jewellery and small object gallery in Melbourne, Australia. 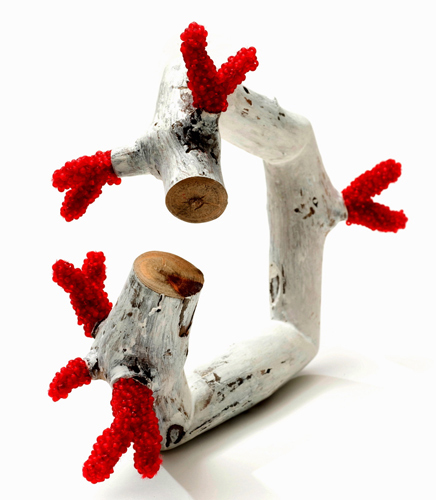 « Correlation is the result of a continued exploration by gold and silversmith Elfrun Lach into the symbolism, materiality and historical use of coral. 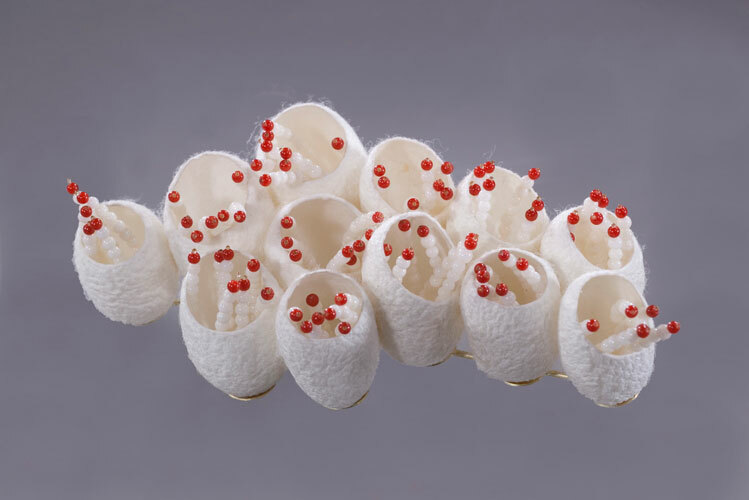 The jewellery pieces made for the exhibition come from an investigation into this precious material and these wearable works stand as a metaphor for growth and decay, strength and fragility. 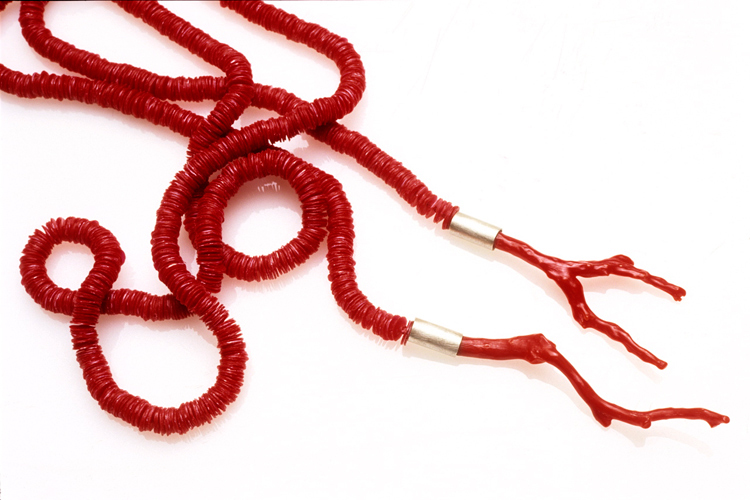 A natural material, coral has been highly prized throughout various cultures and periods, the oldest surviving finds are coral beads and artefacts from Neolithic burial sites dating back to 10,000BC. 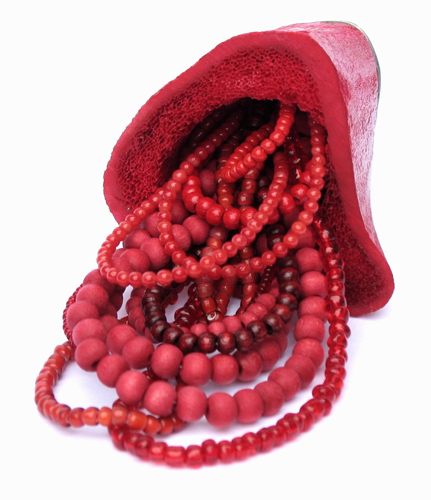 Red coral in particular has been considered precious by southern European cultures, and sometimes appears in medieval and renaissance paintings being worn or held by the infant Jesus. 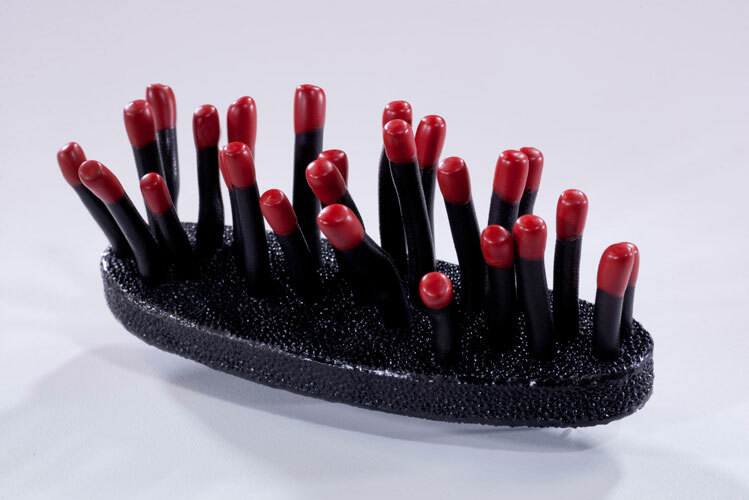 Lach creates contemporary offerings and interpretations of coral as well as including some real pieces of different corals in her work. 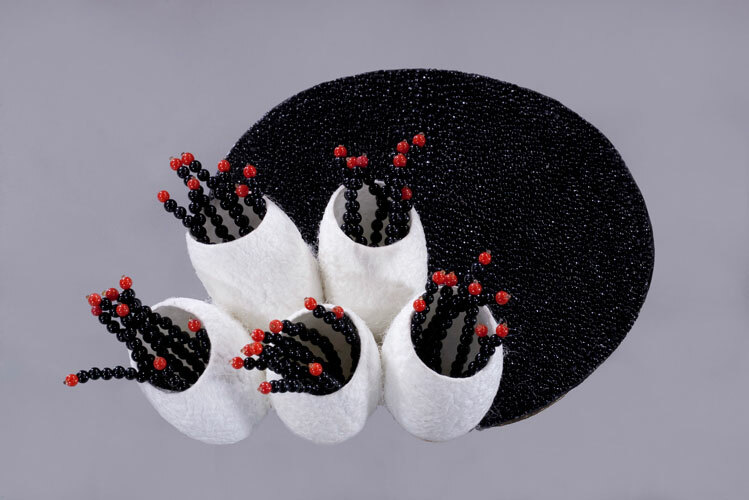 She also has used a variety of other materials like felt, glass beads, wood, silver, porcelain and recycled plastics. 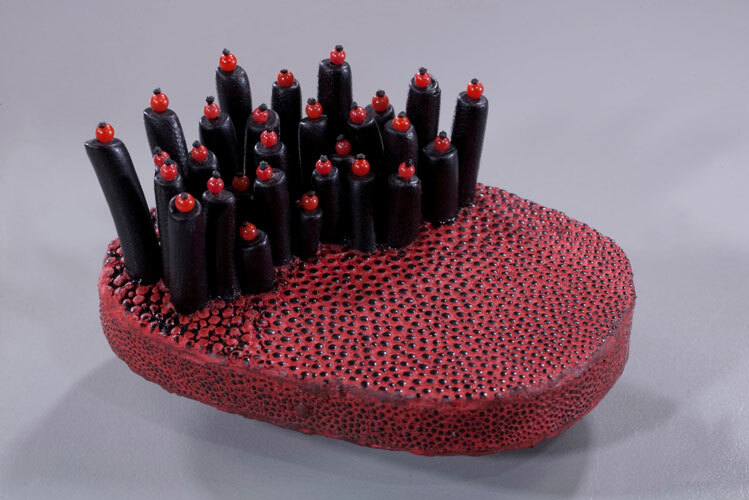 By using these materials alongside coral, with all its associations, she offers up new objects of desire. From Rhode Island School of Design (RISD), Providence (USA). Born in 1969 in the Massachusetts . Bio sur le site de Charon Kransen Arts, où je l’ai découverte …. structures rappelant des amalgames de microcosmes marins, coquillages, coraux…. intrigants, attirants…. en quelles matières ? mystère ! * among the galleries present : Aaron Faber Gallery (NY), Charon Kransen Arts (NY), Ornamentum (Hudson, N.Y.), Sienna Gallery (Lenox, MA), …..
A presentation and panel discussion on the European tradition of goldsmithing; how it contrasts to the American university system, and the relevance of apprenticeship in contemporary jewelry-making. With artists Ayesha Mayadas, India; Peter Schmid, Germany; Juha Koskela, Finland; Britt Anderson North Carolina, USA; Liz Tyler, UK; Christian Streit, Germany; So Young Park; Stephen LeBlanc; Patricia Kiley Faber, gallery director/owner, Aaron Faber Gallery, NY. Art Jewelry Forum board members Susan Cummins, former gallery owner and now director on the Rotasa Foundation Board and Chair of AJF and Susan Kempin, Secretary of AJF and a collector of contemporary jewelry, discuss the role of active viewing and the development of Art Jewelry Forum as an organization that promotes dialogue regarding viewing, collecting, wearing, owning, and displaying contemporary jewelry. 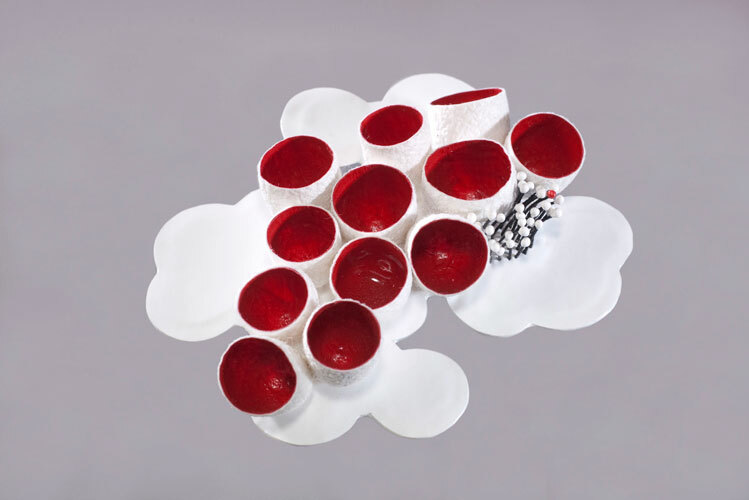 Directly following this talk Agnes Larsson, this year’s Art Jewelry Forum Emerging Artist Award winner from Stockholm Sweden will discuss her work. et juste pour l’infini plaisir des yeux !